Home » Repair or Replacement: What Does Your Roofing Need? Roofing systems must always be in good condition if they are to provide adequate protection for your home. If you feel like your roof is not performing as well as it should, you have two options: have it fixed or get it replaced. Figuring out which option is more cost-effective can be difficult, which is why our roofing experts at Signature Exteriors share a few points to help you decide. Roof problems can range from barely visible to catastrophic. The bigger a problem, the more expensive it is to have it fixed. Most roofing issues can be addressed but if the repair cost is big enough that it costs almost as much as a new roof, you might as well have it replaced. How Often Do Problems Pop Up? Sometimes, it’s not about the severity of the problem but the frequency of it. A roofing system should rarely, if ever, have chronic issues. If you’re having your roof repaired multiple times a year, then you’re better off paying a one-time fee for replacements instead of multiple repairs. This one’s closely related to the previous point. The older a roof is, the more likely it is to experience different roofing problems. Fixing a roof near the end of its life span is an exercise in futility since other problems are bound to pop up soon. Experts recommend replacing an older roof, as it will be more cost-effective in the long run. Is It the Right Roof? Sometimes, repairs and replacements are not just for the sake of functionality. If your roof recently got damaged, you can also think about it as an opportunity to change the overall look of your dwelling. If you want to keep the look of the original roofing system, then repairing it is a better option. Otherwise, replacing the roof is basically hitting two birds with one stone. Have your roof repairs or replacements handled by the best in the business. 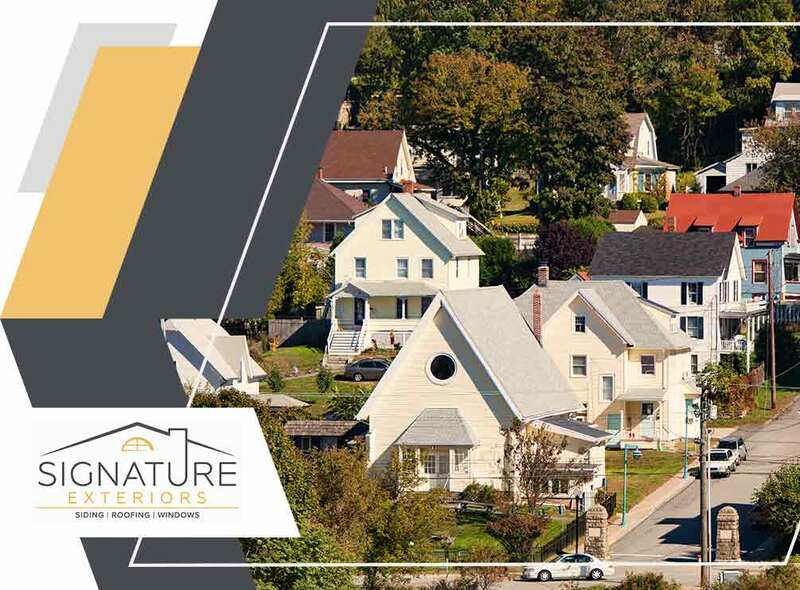 Signature Exteriors is the most trusted roofing company in Connecticut, especially in Westchester and Norwalk. You can call us at (866) 244-8029 or fill out this contact form to request an estimate.